Designed for V-grooving, bevelling and folding. 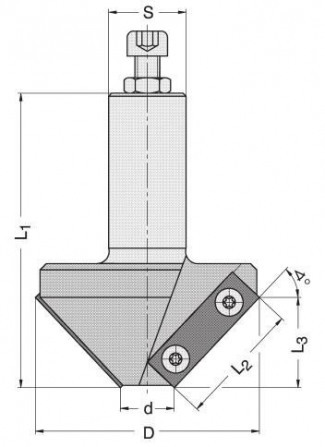 Using special inserts for producing 45°, 60°, 90° or 91° angles. Tools are dynamically balanced to 18,000 rpm. 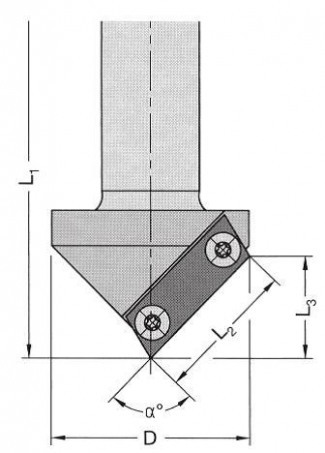 For producing 45 degree bevel cuts in solid wood or composite materials. 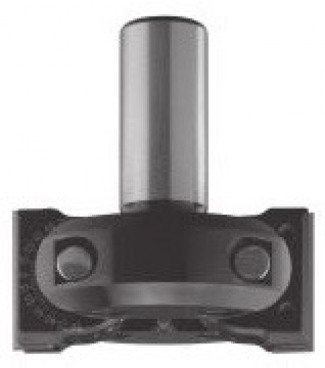 For jointing and for producing angled cuts in solid wood or composite materials. Adjustable 0 to 45° up or down in 5° increments.